Who doesn’t love a great fortress? As you’d expect in the frontier territory between Spain and Portugal, there are hundreds of townlands with a castle or a ruin to explore. We recommend Almeida overlooking the Côa River which was one of the most important strongholds in Portugal during Modern Age. You can visit the 2.5km of walls which are constructed most unusually in the shape of a 12-pointed star. The 12m deep and 62 m wide fortress ditch is very impressive and if you have more time, the barracks and jails, the city, plus The Misericórdia and the Matriz churches. We don’t recommend staying here as there’s lots more to see nearby. Motor on to Sabugal, Sortelha, Penamacor and finish up at Castelo Branco which was given the title of ‘Eminent Town’ way back in 1535. You can still visit the Knight’s Templar castle built between 1214 and 1230. It’s possible to see all five frontier towns in one day (if you really do like your castles) as the full route takes just 2h30 to drive. 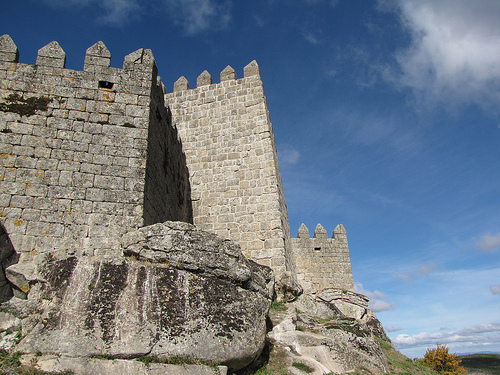 You will be driving parallel to the Spanish border as each of these castles are about 20km from Spain. For more on this Centro region of Portugal see our guide here. Every time we visit Aveiro, it seems to somehow look prettier than it did on the previous trip. It is easily one of the prettiest villages and towns in Portugal. If you love ceramic tiles, then the tiled houses in the old town will charm you straight away. As you’d expect from the so-called ‘Venice of Portugal’, this town has a number of canals buzzing with street-side cafes and restaurants and its fair share of giant colourful Portuguese gondolas called moliceiros. It’s fishing tradition is very visible from the fishermen’s whitewashed houses to the wonderful Fish Market. The cathedral was founded in 1423 and offers elements of Baroque and Modernist architecture. Aveiro’s Museum is located in a former Dominican convent – Princess Joana lived here with the order in the 15th century and her tomb is open to the public. We like the Museum of Art Nouveau and the nearby Barra beach with huge sand dunes and great views from the charming clapboard beach houses. 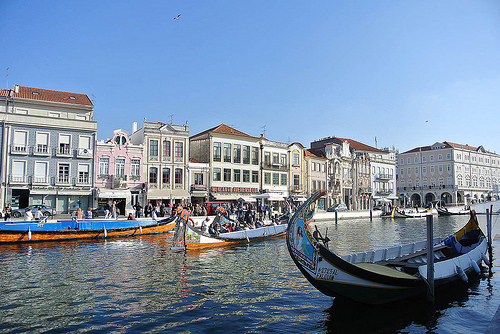 For more on Aveiro and the Centro region see our guide here. Close to the border with Spain, Belmonte is a very special, albeit tiny, town. Unlike many other sites in Spain or Portugal here in Belmonte, a Jewish or crypto-Jewish community has been in residence from the 13th century through to today. 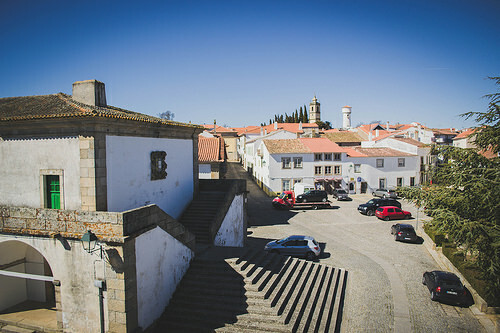 Belmonte was home to the largest Jewish community in Portugal up until the late 15th century when most of the community exiled to avoid persecution during the Spanish Inquisition. But it’s those who stayed that make Belmonte so unique. Make a visit to the town’s Jewish Museum that opened in 2005 to gain some insight on the history of the Portuguese Jews, their inclusion into Portuguese medieval society, their public and private habits, the history of persecution and its recent chapter which is still unfolding. You should also visit the restored Jewish quarter where you’ll find a modern synagogue built in 1996 that serves its community of about 300. The community abandoned its secrecy in the early 1990s when it cut its ties with the Roman Catholic church and formally converted. 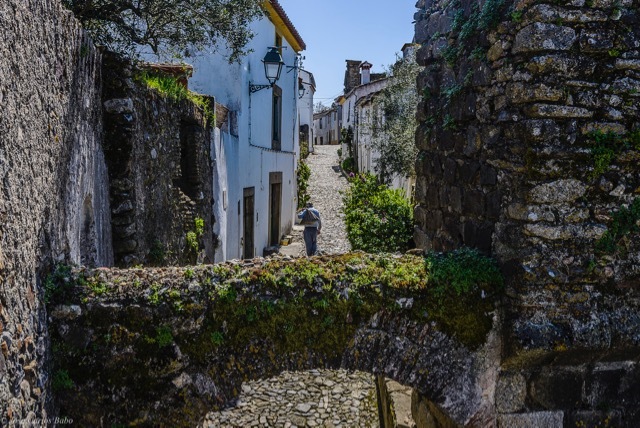 The Guardian calls Belmonte one of Portugal’s “little known gems” and we think that doesn’t go far enough – do not come to this region without planning a visit to Belmonte. When you are here, you’ll know why – it really has a unique atmosphere and energy as it gradually reveals itself to wider public. For more on Belmonte see our guide on the Centro region here and our guide on Jewish heritage in Portugal here. At the very top of the Alentejo Region you’ll find this town of Roman origin that was home to a large Jewish community in the 14th century. Many of the houses in the Jewish quarter still have door indents or markings! Today you can visit the restored medieval synagogue at the corner of the Rua da Judiaria and Rua da Fonte that includes a stone ark for the Torah and see the Arcario House where Jewish taxes were collected. With a name like Castelo de Vide, you know there must be a castle in the town and there is a great one that was completed in 1327 which is also when the town was renamed from Vide to Castelo de Vide. You’ll also find churches here – 24 of them. We enjoyed the 13th century Capela do Salvador do Mundo which is said to be the oldest chapel in the region. If you want to go even further back, you can also trace the town’s Roman history by visiting the Roman settlement of Miróbriga nearby. For more see our guide to Jewish sights in Portugal here and for more info on the Alentejo see our guide here. Why would we send you to a Portuguese hamlet? 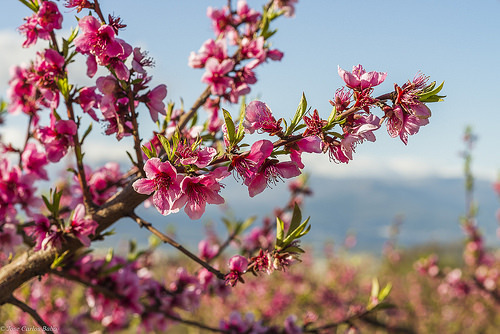 If you’re travelling in Springtime, the cherry blossom is adorable! You’ll also get to see a Beira house made from granite and the Baroque-style Bica fountain. This 100% authentic and charming cobblestoned hamlet is part of the network of historic hamlets of Portugal – you’ll be charmed by the schist stone. And yes, there is a castle, offering amazing views. For more in this region, see our guide. 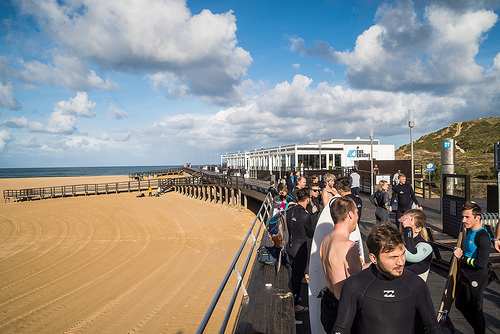 At just 50km from Lisbon, the Ericeira Surfing Reserve is perfect for a few surfing lessons or sitting in a café and looking on in awe as the experts do their thing! Being so close to the capital, you’ll find there is always a bit of a buzz. We love the white-washed views from the top looking out over the ocean! For more on what to do near Lisbon see our guide here. Along with the castle, town walls, charming cobblestones and churches, you should seek out the local barrística (clay pottery) and check out the brilliant weekly farmers’ market on Saturdays in the town’s main square. Wherever you look, you’ll notice a lot of marble here as this is marble territory. The castle has become a pousada which is always a handy place to stay or enjoy a drink or a meal – the views are spectacular and it is fit for a queen – which is no coincidence as it was built on the order of King Dinis I of Portugal for his wife, Queen Isabel. For more, see our guide to the Alentejo. 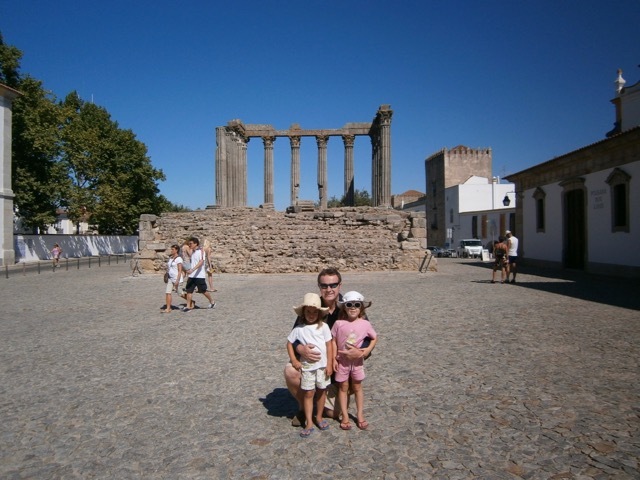 A family snap from one of our many visits to Evora – in front of the Roman Temple…. 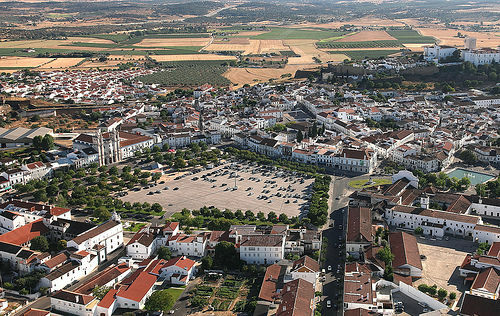 Just 90 mins east of Lisbon city by car and you’ll find yourself in the centre of the Alentejo in Evora – the UNESCO-listed city. Must-sees include the Roman Temple, Giraldo Square, the cathedral, the Capela do Calvário at the Church of San Francisco for its carvings, and the Chapel of Bones. If you have more time, consider adding on the Palace of King D. Manuel, the chapel of St Blaize, and the houses of Cordovil, the Casa de Garcia da Resende and the university. And leave lots of time for wandering around the charming cobbled streets. Be sure to try the pastries and, if megalithic structures are your thing, you’ll want to visit the 95 menhirs or standing stones that overlook the city. You’ll find many locations here with a Jewish connection – do read our guides to Portugal’s Jewish sights and the Alentejo region. 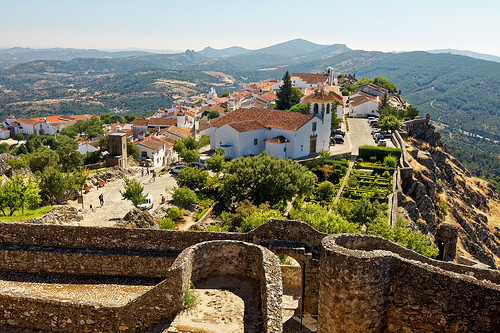 Nestled inside the Serra de Sao Mamede Park, all roads lead to Marvão’s castle on the tallest and narrowest of ridges – to learn about the many tussles that have taken place in this area and enjoy the wonderful views of the Alentejo and Spain. Built 843 metres above sea level, you’ll really enjoy a birds-eye view of the locality especially from the well-preserved city walls and the keep. Drop into the Municipal Museum (located in a former church) inside the walled town to learn about life as a frontier post –you’ll find many references here to the Jewish community that passed through this town from Spain during the Inquisition. See our guide to Jewish heritage in Portugal here for more. If you like hiking, check out the eight excursions in the Sao Mamede park where you’ll be able to find the eagles, vultures, hawks, owls plus wild boars, Egyptian mongooses, wild cats and more. You’ll find another lovely pousada here which makes a pleasant break when you’ve seen the sights. The views from the dining room are pretty amazing! For more on this region, see our guide to the Alentejo. Belmonte isn’t the only charming destination along the border with Spain. We love Guarda, Almeida, Marialva and Monsanto to name but a few. All of the best villages have joined forces as the Historical Villages Network and you’ll find some really interesting additional destinations if you wish to explore this region’s hidden treasures. If we had to recommend just one – it would be the tiny hamlet of Monsanto – not just for its castle and medieval feel. 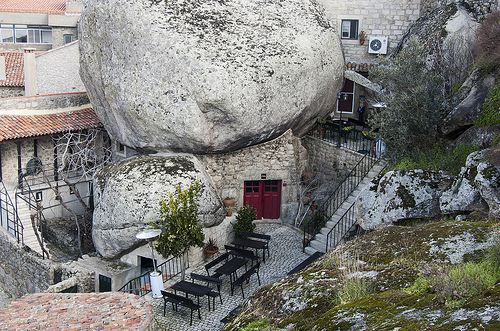 Have you seen the image above of the houses built in between large boulders? It has to be seen to be believed! For more see our guide to the Centro Region. Don’t be fooled by this charming whitewashed village – given its proximity to Spain, it’s seen more than its fair share of battles, takeovers and defeats. 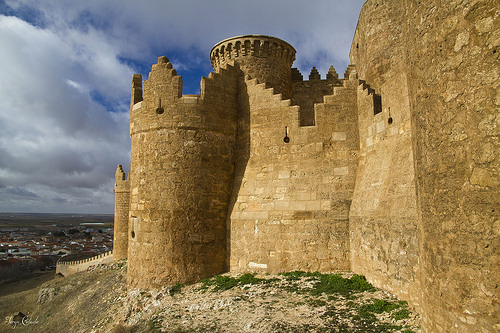 The site on which the castle was built was a pre-historic fortification and the Romans, Visigoths, Mozarabs and the Knights Templar have all fought for or defended this space. That said, it’s hard to tally the stories of battle with the scenes you see today. If you are visiting in July, you’ll find the town becomes an open-air museum – celebrating the crafts, gastronomy and culture of this small town that fronts onto the Guadiana River and Alqueva Dam (one of the largest and most recent reservoirs created in Europe). For more see our guide to the Alentejo. 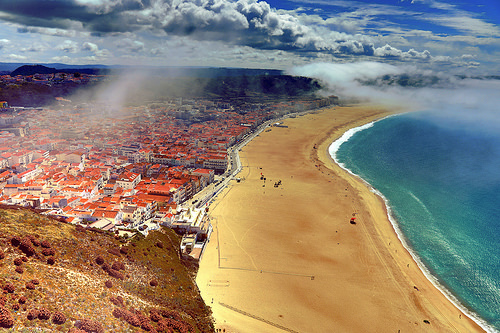 It’s hard to resist the charming beach town of Nazare with its pretty old quarter and funicular to the beach. There’s plenty of great hiking and walks to be enjoyed locally that offer wonderful views of the coastline. You can also experience some age-old fishing traditions including the drag net spectacle known as Arte Xávega which is a bringing-in of the catch right on the beach. Nearby Sitio provides the legend of the leaping horse – which is as good a reason as any to visit this place and enjoy the views from the cliff-face. Just 80 mins drive from Lisbon it makes for a nice day-trip or weekend get-away. For more, read our detailed guides to the Centro and Lisbon regions. 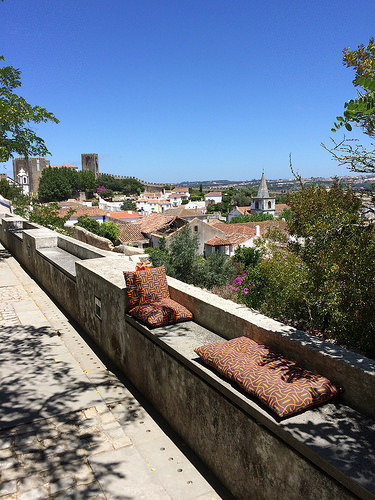 Although it does draw huge crowds in the summer months, the walled town of Obidos is still well worth a visit. 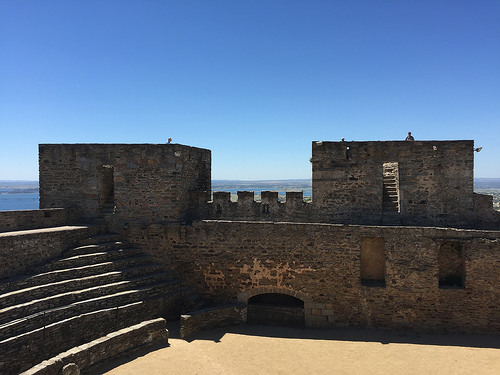 It was captured from the Moors by King Afonso Henriques, the Founder of Portugal, in 1148, and you can even stay in the fine castle, now a Pousada, which overlooks and dominates the stunning countryside. For more on what to see and do in the Lisbon region, read our detailed guide here. The Vinho Verde region is the largest wine region in Portugal and takes in the area north of Porto city to the Spanish border. Although Penafiel is closer to Porto, we recommend Ponte de Lima in the heart of Minho – said to the Portugal’s oldest town – where you’ll find some exceptional wine-themed accommodation and activities. Famous for its Sarrabulho rice dish served prepared with pork, and the Limian pastries, it’s also where we tasted the best octopus ever – at the Mercado restaurant close to the Roman bridge. Check out the toy museum and the botanical gardens nearby also. 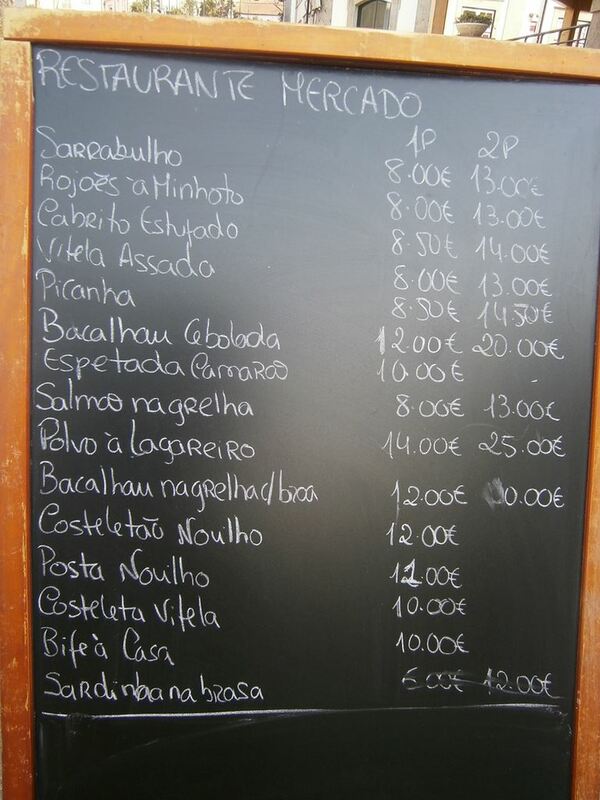 For more see our guide to Porto and the Norte Region. The walled town of Trancoso where Jewish merchants first settled in the 12th century is also re-embracing its Jewish heritage and we often include a visit on our Jewish heritage itineraries. First stop is the Isaac Cardoso Center for Jewish Interpretation and the new synagogue. Move on to the façade of a nearby house that is decorated with emblems that have been interpreted as representations of the Lion of Judah and the Gates of Jerusalem. It was the house of a former Rabbi of this community which doubled up as the unofficial synagogue. Other stops include the Gato Preto House (the Black Cat House) and number 5A in Praça D. Dinis where a Shema scripture was found. There’s plenty more to see including the Ducal House, the 14th century Barbican and the castle from the 10th century. For more see our guide to Jewish Heritage Sights in Portugal. And check out our guide to Jewish Sights in Spain also. 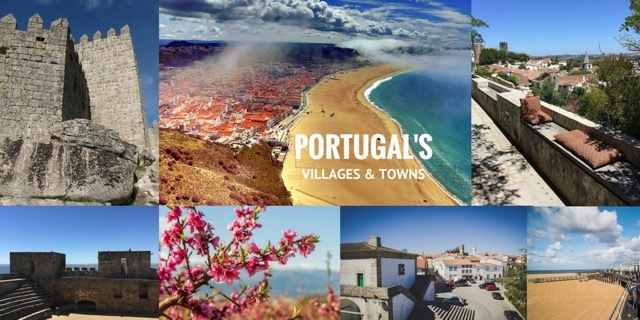 Posted in Active breaks, Portugal and tagged Almeida, Aveiro, Belmonte, Castelo de Vide, Castelo Novo, Ericeira, Estremoz, Evora, Marvão, Monsanto, Monsaraz, Nazare, Obidos, Ponte de Lima, Trancoso.